← Powershell to find the firmware version of the HP Enclosure Onboard Administrator and its related components. Pls check my other blog about powershell on HP Enclosure and here by using the below script we can get status of the Enclosure (OnboardAdministrator, PowerSubsystem, CoolingSubsystem running on multilpe HP Enclosure ). 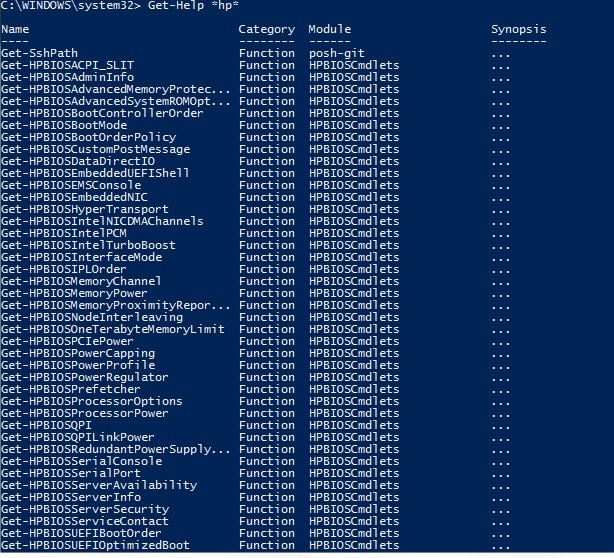 We need HP powershell cmdlet to run the script and download it from the below link . Install the HPOACmdlets-x64.msi and look for the pdf for the installation steps. Get-Help *hpoa* – It will show all the commands related to the HP-onboard administrator. We need Get-HPOAEnclosureStatus cmdlet to get the basic health and status of the enclosure subsystem. A list of connection objects must be provided as a parameter. Download the script from the below location. This entry was posted in HP, Powershell and tagged HP, hp c7000 enclosure, HP Onboard Administrator, Powershell, Windows powershell. Bookmark the permalink.